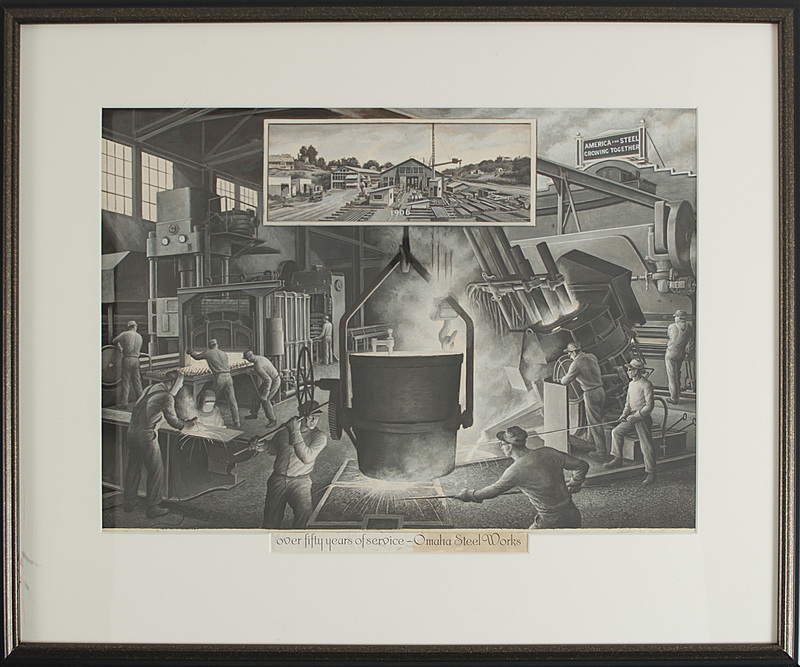 "Four High Rolling Mill-Sheffield Steel Corporation"
Catalogue Reference: Retif & Salzer 16. "Old Man With a Violin"
Catalogue Reference: Retif & Salzer 34. "Over 50 Years of Service-Omaha Steel Works"
This major impressive work appears to be a study for a mural. Unfortunately, we have no information about whether the mural was ever executed..It is signed lower right below the image by the artist. "The Matthew W. Johnston Family"